Cleaning your carpet no longer has to be a job reserved for the pros. Not if you have the professional help of the new Hoover SmartWash. 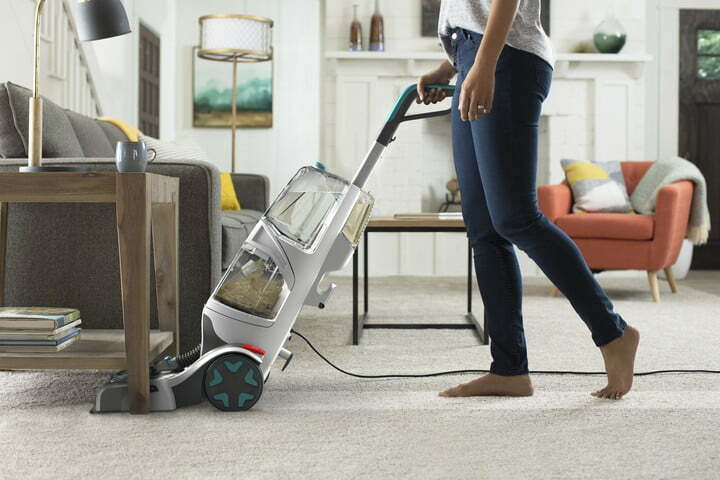 Promising to take all the confusion and guesswork out of carpet cleaning, this new machine claims to be the “most intuitive, best cleaning, full-sized carpet cleaner” on the market. And really, who couldn’t use a cleaner floor?